Search engines will have a tough time understanding the content on our blogs. 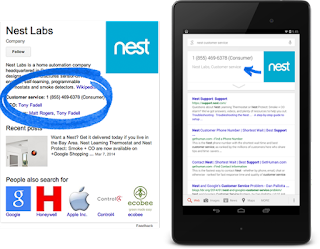 This can be wherever structured data is very important and comes into play. Structured data allows search engines to not only crawl our website, but to really understand the content on our blogs by generating rich snippets, that area unit pieces of information which will then appear within the search engine results page (SERPs). In 2011, the main search engines including Google, Bing and Yahoo created schema.org. According to that, Schema.org could be a collaborative, community activity with a mission to make, maintain, and promote schemas for structured data on the internet, on web content, in email messages, and beyond.” In simply terms structured data refers to any data which is organized. Structured data VS. Open Graph? Open Graph is a type of markup used by Facebook to parse an data information like what image and description to be displayed, While Schema provides a more detailed list of the options than Open Graph do. They can be used together, but Open Graph can't be used in place of Schema. Structured data/Schema creates further search-friendly signals, that helps increase click through rates (CTR), helping us to perform better in the SERPs. As a results of adding Schema to the HTML of our website, we'll be able to improve how our page displays within the SERPs and gain informative and visual results. 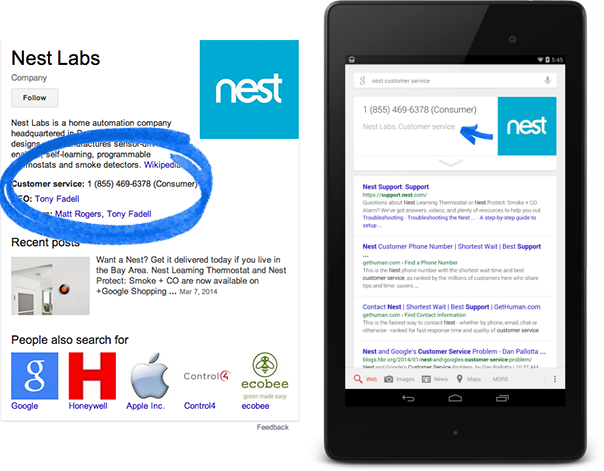 The more information we provide, the more possible our rich snippets can appear within the SERPs. This is supported Rich Snippets Feature found on Google Search Developer site. Go there and see Guidelines and whats condition are meet. 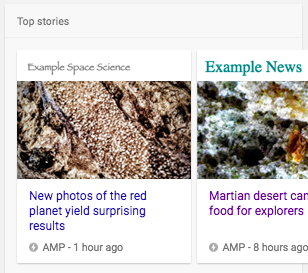 Rich results The Top stories carousel requires that your content be published in AMP. For more information, see AMP with structured data. JSON-LD is a technique of implementing structured data markup on a website. JSON-LD is Google’s suggested format for schema. Its a <script> tag placed betwen <head> and </head> or before </body> and unreadable by visitor. is a World Wide Web-based approach to semantic markup which uses HTML/XHTML tags supported for other purposes to convey additional metadata and other attributes in web pages and other contexts that support (X)HTML, such as RSS. This approach allows software to process information intended for end-users automatically. A W3C Recommendation that adds a set of attribute-level extensions to HTML, XHTML and various XML-based document types for embedding rich metadata within Web documents. The RDF data-model mapping enables its use for embedding RDF subject-predicate-object expressions within XHTML documents. It also enables the extraction of RDF model triples by compliant user agents. Microdata is a specification used to nest metadata within existing content on web pages. Search engines, web crawlers, and browsers can extract and process Microdata from a web page and use it to provide a richer browsing experience for users. Search engines benefit greatly from direct access to this structured data because it allows them to understand the information on web pages and provide more relevant results to users. Microdata uses a supporting vocabulary to describe an item and name-value pairs to assign values to its properties. Structured data is incredibly important because it helps the search engine bots understand what our blogs is concerning about. additionally, it improves the quality of the SERP results exploitation rich snippets. this gives our potential customers a much better understanding on what our website is concerning and how the search engines value it. There are several benefits of implementing structured data on our blogs. Google’s SERPs have become more visual and creative. By providing search engines with a lot of data about our brand and highlight certain elements of code among the HTML of our blogs, all the search engines can take this data and add it to their knowledge Panel to find out more about our blogs. It may be nice if you're ranking on Google, but what's the good thing about ranking well if searches do not click on our results? so, this will be an important metric and Structured data extremely can improve it. Results with ‘Reviews and Ratings’ implemented right away which appear at searchers will optimize the visibility of the results. Maybe someone would be more enticed to click on results with star ratings and reviews. So, this also helps drive more traffic to our blogs. Google Recomend JSON-LD Schema, we can see example guidelines from Google Rich Snippets Feature Galleries to create data structure manualy, or by Google Structured Data Markup Helper by the way, this tool aslo found on Google Search Console at Search Appearance > Data Highlighter. Google’s Structure data Testing Tool is great for testing our schema implementation. you'll be able to run a test by either providing the URL of an online page to identify if our blogs has schema otherwise you can paste in our code. The tool not only displays that structured data is present on the blogs, however it also reports any errors the schema might have on the site. With this tool, you'll be able to easily update our code on the site to visualize how this affects our data and errors. Using structured data/schema on our blogs helps describe the content on our blogs in a way that search engines can higher understand. The search engines use this data to strengthen our listing within the SERPs. this can help you attract a better CTR from sites that rank on top of you in the SERPs even when you rank in lower positions as a result. Before implementing the schema on our blogs it's important to test the structured data using Google’s Structured data Testing Tool to make sure there aren't any errors. this is one among the most important steps. Once implemented on our blogs, monitor for errors via Google’s Search Console. Google is constantly evolving and structured data can still play a giant part in that evolution.